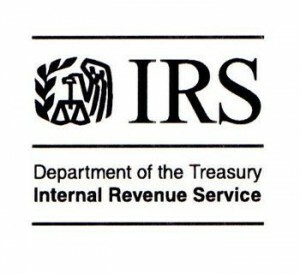 The IRS has now issued a series of forms to enable federal, state, and local governments to assess their compliance with federal tax statutes, and has set forth some common errors found in examining such employers. Several of the forms relate to employee benefits issues, and may be of assistance to governments trying to ensure that they comply with all legal requirements. A variety of tax and retirement rules apply to employees but not independent contractors. The IRS indicates that common errors include erroneous treatment of certain groups of workers (including elected and appointed officials) as independent contractors instead of as employees. Form 14581-G provides tools for determining whether public officials and other employees constitute independent contractors. Certain kinds of fringe benefit arrangements give rise to taxable income to employees. Common errors include failure to include taxable noncash benefits in employee wages. Form 14581-A provides guidance on determining whether benefits are taxable. An employee is taxable on reimbursements or allowances unless they are made under an accountable plan. A common error is ignoring accountable plan rules in making such reimbursements or allowances. Form 14581-A enables employers to determine whether their reimbursements and allowances are made under an accountable plan. Certain contributions to retirement plans, although exempt from income tax withholding, are nevertheless subject to Social Security and Medicare taxes. Form 14581-E discusses the situations in which this is the case. In the case of a state that does not provide Social Security coverage to all of its workers, an employee of a state or local government employer can be excluded from Social Security only if the employee is covered by a public retirement system that meets certain requirements to qualify as a replacement for Social Security coverage (“Social Security Replacement Plan”). Form 14581-E assists such employers in assessing whether their plans constitute Social Security Replacement Plans, and whether there are any employees who are not covered by such plans and thus must receive Social Security coverage. Governmental Plan Determination Letters: Last Chance?